True fans of The Eagles need to mark their calendars for September 27th and 28th. The band has just announced they’ll perform their iconic album Hotel California live for the first time in history. 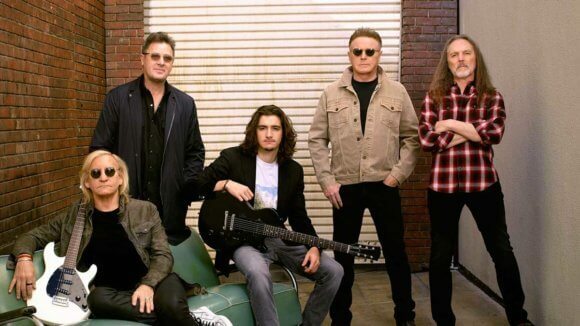 Those fortunate enough to grab tickets to The Eagles’ only 2019 North American concert dates will also be treated to a set of the band’s greatest hits. Tickets for the just-announced concerts, which will take place at the MGM Grand Garden Arena in Las Vegas, will go on sale beginning Friday, April 12, 2019 at 10am PT via Ticketmaster.com. Tickets will be available for as low as $179 (plus service charges or fees). A special presale for American Express Card Members begins on April 8th at 10am PT and runs through Thursday, April 11th at 10pm PT. The concerts will kick off on both nights at 8pm PT. The current lineup of the classic rock band consists of Don Henley, Joe Walsh, Timothy B. Schmit, Deacon Frey and Vince Gill. Deacon Frey made his debut with the band in July 2017 following the passing of his father, original The Eagles member Glenn, in January 2016. The Eagles’ Hotel California ranks third on the list of all-time bestselling albums in the United States. It’s been certified Platinum 26 times and earned two Grammy Awards for its singles, “New Kid in Town” and “Hotel California.” There are songs off the album that haven’t been performed since The Eagles embarked on their first “Hotel California” tour.